Bob Krasnow, the risk-taking record executive famous for building Blue Thumb with an eclectic roster and then using a similar approach to revive Elektra Records a decade later, died Sundayin Florida. He was 81. 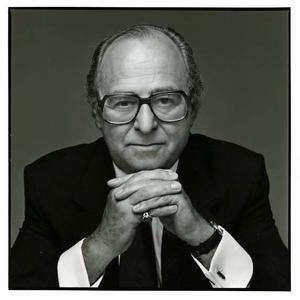 Krasnow was a great record man in the golden age of Warner Music from the 1970s into the 1990s, working alongside Mo Ostin, Joe Smith, David Geffen, Lenny Waronker, Ahmet Ertegun, Jerry Wexler, Doug Morris and Jac Holzman. He created Blue Thumb in 1968 with producers Don Graham and Tommy LiPuma, a label defined by its artistic integrity and left-of-center releases from acts such as The Pointer Sisters, Dave Mason, Dan Hicks & His Hot Licks, Captain Beefheart, Tim Buckley, Albert King and others. He left the label in 1974, frustrated with the business elements of the job, he told the Los Angeles Times. Ostin lured him back into the business in 1975, appointing him VP, talent acquisition, for Warner Bros. Records. He made pop stars out of George Benson and Chaka Khan, got the eclectic jazz/classical label ECM, most famous for Keith Jarrett, to sign a distribution deal with Warner Bros. in 1978, and got the label into the business of black music. He worked at WB for nine years before being moved over to chairman and CEO of the then-moribund Elektra/Asylum/Nonesuch. At Elektra from 1983 to 1994, he made the label an industry leader, ushering in its second golden era with signings ranging from Metallica, Motley Crue, Simply Red and The Cure to smooth pop-R&B singers Anita Baker, Teddy Pendergrass and Natalie Cole to folky singer-songwriters Tracy Chapman, Billy Bragg and Natalie Merchant’s 10,000 Maniacs. Through it all, Krasnow was as well known for his flamboyance and quick wit as well as his impeccable musical taste, especially when it came to black music. He was also a gourmet cook, cigar aficionado and art collector who was on the boards of Brooklyn Academy of Music and New York City Center, a co-founder of the Rock and Roll Hall of Fame and EVP of the Paul Taylor Dance Company. A native of Rochester, N.Y., who lived most of his early life in Los Angeles, he became fascinated by R&B at an early age. After a stint in the Navy, he returned home to take a sales job at Decca Records before moving to San Francisco to be a regional rep for the R&B label King whose primary act was James Brown. He left the Bay Area for L.A. in 1964 to form Warner Bros.’ R&B-oriented subsidiary Loma, releasing records by Ike & Tina Turner and Little Jerry Williams, and the now classic “Stay With Me” by Lorraine Ellison and J.J. Jackson’s “But It’s Alright.” He also managed Mike Nesmith, bringing him to Colpix and The Monkees. He stayed in the job until 1966 when he joined Kama Sutra Records and handled A&R for Buddah Records where his first release was about as far removed as one could get from the bubble-gum pop of its parent label: Captain Beefheart and his Magic Band’s Safe as Milk. In his two years at Buddah, Krasnow provided a hint at his eclecticism, releasing calypso, pop, R&B and blues albums in addition to the teen-pop of the 1910 Fruitgum Company, The Lemon Pipers and Ohio Express. Krasnow decamped for Blue Thumb Records, which opened its doors with a Beefheart release, Strictly Personal. The label’s release were as wide ranging and hip as any label got in the ‘60s/early ‘70s: Blues (Albert Collins, Sam Lay, Buddy Guy), rock (Love, Tom Rapp, Mark-Almond, Tyrannosaurus Rex), comedy/spoken word (W.C. Fields, The National Lampoon, The Last Poets) , jazz (Sun Ra, Gabor Szabo, Hugh Masekela) and Brazilian (Joao Donato); its hits came primarily from The Pointer Sisters, Mason and The Crusaders. Besides Benson and Kahn, Krasnow signed Funkadelic while under Ostin and Lenny Waronker at Warner Bros., and during his tenure, the label broke Fleetwood Mac, The Doobie Brothers, Prince, Van Halen and Christopher Cross, and brought over Paul Simon, Elvis Costello and ZZ Top. One noteworthy unconsummated: He offered Factory Records $1m for Joy Division in the late ‘70s. Throughout the era that saw L.A. become the hotbed for musical talent, Krasnow was a significant presence in the late-night Hollywood musicians' scene. That endeared him to some higher-ups and made others cautious; key to his securing the Elektra job was his ability to close deals and marketing savvy. Elektra, a folk label for its first 15 years, had its first golden era beginning in the mid-1960s with The Doors, Love, Paul Butterfield Blues Band and The Stooges, which ran into the 1970s with Carly Simon, Bread and Queen; it was merged with Asylum in 1972. While Krasnow produced hits at Elektra, he also restored its eclecticism, signing a distribution deal with 4AD (The Pixies, The Breeders) and adding acts such as Stereolab, Keith Sweat and X.
Krasnow became the first casualty in the corporate shake-up at Warner Music Group in 1994, abruptly resigning after then-WMG Chairman Robert Morgado realigned management structures. Soon after leaving Elektra, he started the short-lived label Krasnow Entertainment with MCA. The T.J. Martell Foundation named him Cancer Research Man of the Year in 1984 and 1989; he received the Ellis Island Medal of Honor in 1992.